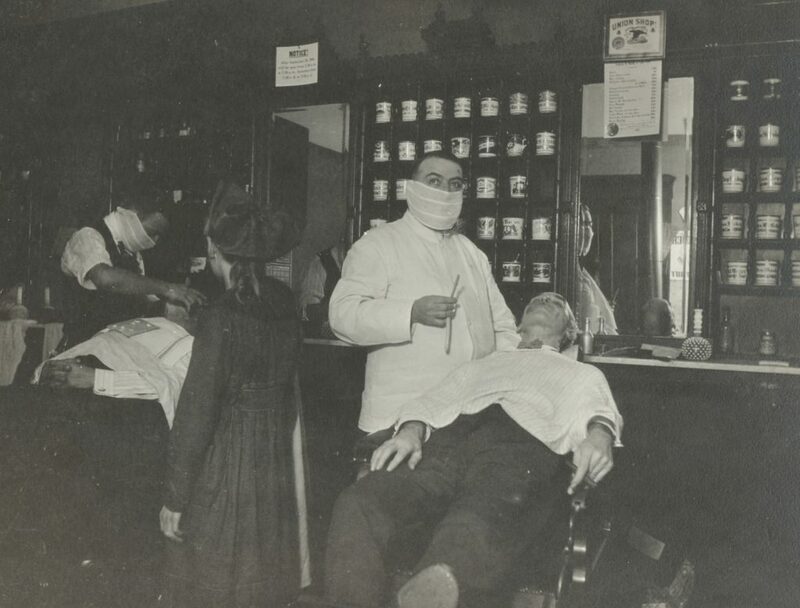 Although this Cincinnati barber’s business was permitted to operate during the 1918 quarantine, he and his partner wore masks to protect themselves. The pandemic did not originate in Spain, but the nickname stuck. 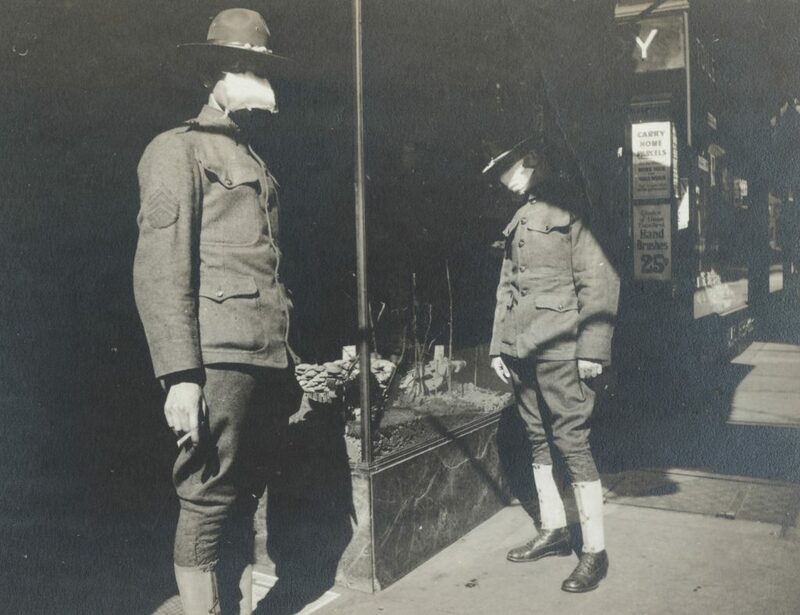 Later research has yet to definitively pinpoint the origin of the disease, but it was particularly virulent in Allied military camps in Europe and spread to the United States as soldiers returned home with the end of World War I. Influenza was carried to the United States by soldiers returning from European combat in World War I. These doughboys, on furlough from Camp Gordon in Georgia, wore medical masks as they shopped in Cincinnati. In the belief that fresh air fought germs, Cincinnatians joined a national movement to keep home—and trolley car—windows open into November. Norwood, Covington, Newport and other nearby cities soon issued similar or identical orders. This ban on public congregation lasted 38 days into November. Interestingly, the ban spared saloons, not because of any official fondness for alcoholic beverages, but because it was legally impossible to distinguish saloons from restaurants. Too many Cincinnatians took their meals outside their residences because sleeping rooms, rooming houses, and most apartments had no kitchens. Saloons, however, were ordered to sell beverages in bottles only, for off-premises consumption. The ban landed in the middle of the final patriotic push to boost support for the war effort and to sell bonds to finance military operations. The city shut down all sporting events. The University of Cincinnati ended up playing a reduced season of only five football games because of the influenza restrictions. In mid-October health officer Dr. Peters himself took ill and he was temporarily replaced by his assistant, Dr. Oscar Craven, who continued to issue restrictive orders. Craven cracked down on crowded hotel lobbies and saloons that allowed customers to quaff on-site. The military training camp on UC’s campus spent most of the autumn in quarantine because of a suspicion—proven to be accurate—that troop movements accelerated the dispersion of influenza and pneumonia. Just outside Chillicothe, Camp Sherman recorded extremely high mortality rates and may have had the worst casualty rate among all United States Army camps. By spring 1919, Camp Sherman recorded nearly 1,200 influenza deaths. When the ban on gatherings was partially lifted and children returned to school, another wave of illness and death washed over the city. Businesses protested restrictions such as ordering all retail establishments to close by 4:30 p.m. Shopkeepers noted that restricted sales hours led to greater congestion on the street cars, negating any sanitary impact. At one point, the health department considered a citywide quarantine, closing every factory, office and store in town, but relented under intense public pressure. 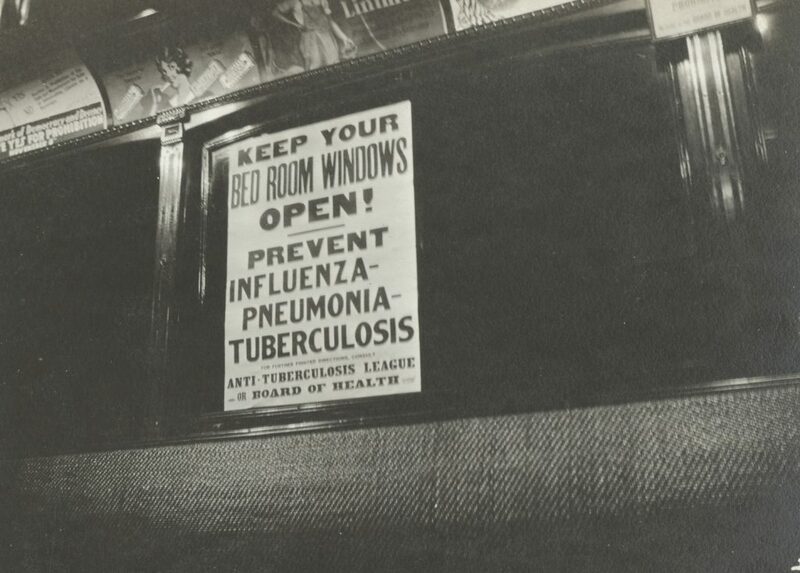 As spring arrived, the worst of the epidemic had passed and the death rate plummeted but so many Cincinnatians suffered from the lingering effects of lung infection that 13 public health stations opened in May 1919 to deal with residual complications, including increased susceptibility to tuberculosis. The epidemic was devastating in Cincinnati, but it was much worse elsewhere. Worldwide, somewhere between 50 million and 100 million people, or 3 to 5 percent of the world population, died. Mortality in the United States was between 500,000 to 650,000. Previous articleTV Production in Cincinnati? Why Not?